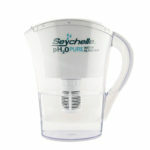 Seychelle Standard Replacement Water Filter for 28 oz bottles and 38/42oz canteens. Provides your family high quality drinking water by filtering listed contaminants, heavy metals, parasites and pathogens. 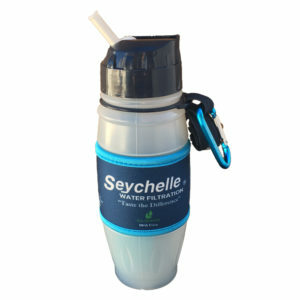 Seychelle™ Standard Replacement Water Filter for 28 oz Flip-Top bottles and 38/42oz canteens. 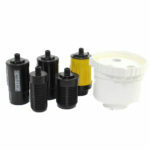 Provides your family high quality drinking water by filtering listed contaminants, heavy metals and parasites. 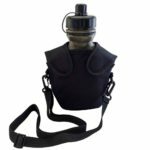 The Standard filter is ideal for any indoor or outdoor use; like traveling, hiking, biking, camping, fishing or for emergency purposes. 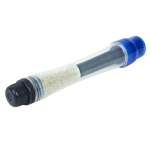 It can be used with tap water or outside water sources such as rainwater, rivers, streams or even lakes (excludes salt water, brackish or stagnant water). It removes up to 99.99% of contaminants and pollutants found in fresh water supplies including: Chlorine, Dirt, Giardia, Cryptosporidium, DDT, MTBE, Benzene, Chloroforms, Arsenic, Lead, Mercury, Copper, Zinc, Aluminum and Chromium 6. Removes up to 90% Fluoride. 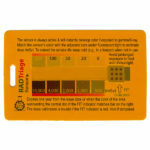 Removes up to 99.99% of listed contaminants, pollutants, heavy metals and pathogens. 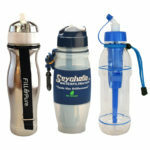 Be the first to review “STANDARD Replacement Filter for 28oz Flip-Top bottle and canteens” Click here to cancel reply.